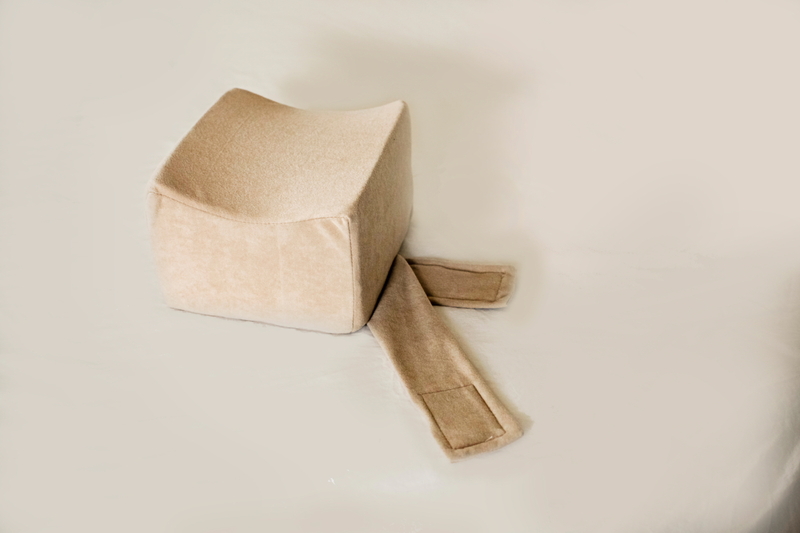 Size: Medium (7x8x5) Color: Beige This item is currently out of stock! The Memory Foam Knee Pillow-Leg Spacer keeps your spine in a natural, ergonomic position, allowing tense muscles to relax. This helps relieve hip pain, leg and joint pain. The Memory Foam Knee Pillow separates the legs to help stabilize the hip and pelvis region, keeping the hips and spine from rotation during side posture sleep. The comfortable adjustable strap allows the pillow to remain stationary for uninterrupted rest and support through the night.